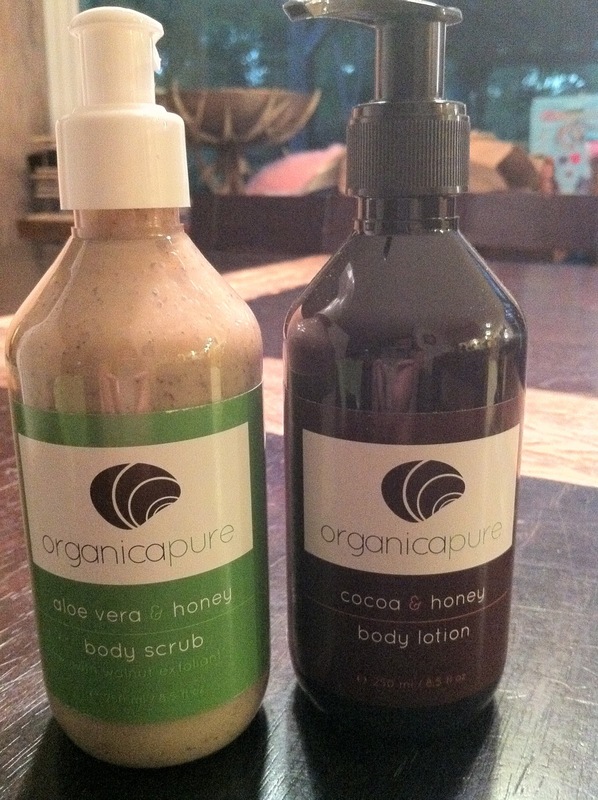 OrganicaPure is a line of skin care products based on three simple, powerful natural ingredients: cocoa, aloe vera and honey. 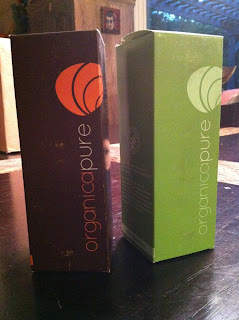 These gifts from nature have been used in beauty rituals since ancient times, in many different cultures, but OrganicaPure harnesses each ingredient's healing powers and combines them utilizing modern techniques to create products that are as effective as they are indulgent. Responsible gift-givers can rest assured that OrganicaPure sources their ingredients by sustainably extracting resources from the earth to produce an ecologically friendly product line and spa lovers can just relax and luxuriate in the rich, fragrant bliss. I tried the Aloe Vera & Honey Body Scrub and Cocoa & Honey Body Lotion. I really like the convenient pump dispensers and recyclable plastic bottles. It's such a pain to unscrew lids for jars in the shower or tub, especially with hands that are oily from using a scrub. The packaging is just right for holiday gift basket, too, don't you think? I like how they hint at the traditional red and green without being so ugly sweater-ish. This review was made possible by Mom Spark Media. In accordance to the FTC Guidelines and the WOMMA Code of Ethics, I am disclosing that I received the samples shown to facilitate this review. All opinions are, as usual, strictly my own. If you had that sunburn for real, you'd be singing a different tune! These sound really nice, and yes, they'd make wonderful gifts!